Combining the perspectives of 18 international scholars from Europe and the United States with a critical discussion of the role of culture in international relations, this volume introduces recent trends in the study of Culture and International History. It systematically explores the cultural dimension of international history, mapping existing approaches and conceptual lenses for the study of cultural factors and thus hopes to sharpen the awareness for the cultural approach to international history among both American and non-American scholars. 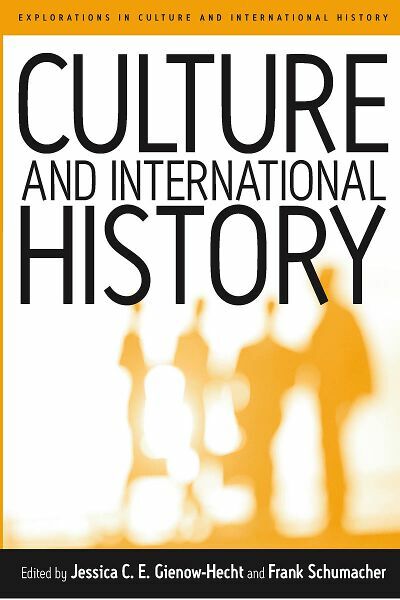 The first part provides a methodological introduction, explores the cultural underpinnings of foreign policy, and the role of culture in international affairs by reviewing the historiography and examining the meaning of the word culture in the context of foreign relations. In the second part, contributors analyze culture as a tool of foreign policy. They demonstrate how culture was instrumentalized for diplomatic goals and purposes in different historical periods and world regions. The essays in the third part expand the state-centered view and retrace informal cultural relations among nations and peoples. This exploration of non-state cultural interaction focuses on the role of science, art, religion, and tourism. The fourth part collects the findings and arguments of part one, two, and three to define a roadmap for further scholarly inquiry. A group of" commentators" survey the preceding essays, place them into a larger research context, and address the question "Where do we go from here?" The last and fifth part presents a selection of primary sources along with individual comments highlighting a new genre of resources scholars interested in culture and international relations can consult. Jessica C. E. Gienow-Hecht is Professor of History at the John F. Kennedy Institute for North American Studies at the Free University of Berlin. Frank Schumacher is Assistant Professor of North American History at the University of Erfurt, Germany. He is the author of Kalter Krieg und Propaganda. Die USA, der Kampf um die Weltmeinung und die ideelle Westbindung der Bundesrepublik Deutschland, 1945-1955. He has published articles on 19th and 20th century North American diplomatic, military, cultural and environmental history and is currently at work on his second book entitled The American Way of Empire: the United States and the Quest for Imperial Identity,1880-1920. PART IV: COMMENTS AND CRITICISM OR WHERE DO WE GO FROM HERE? Chapter 9. Cultural Approaches to International Relations – A Challenge?